The catch with an oil stock like Marathon Oil (NYSE:MRO) is that the stock is so heavily dependent on the price of oil. If oil falls, Marathon Oil stock likely falls too. If oil plunges, MRO stock definitely follows. And so any investor even considering Marathon Oil stock has to be bullish on oil prices going forward. That in turn can create a bit of an issue: if that investor is bullish on oil, why, exactly, is MRO stock the play? Certainly, Marathon Oil is a well-run company, and Marathon Oil stock looks attractive, particularly after a recent pullback. But it’s also tough to make the bull case for MRO without making a better argument for other stocks or ETFs. Think the oil patch sell-off of late is overdone? More leveraged plays like Chesapeake Energy (NYSE:CHK) or Carrizo Oil & Gas (NASDAQ:CRZO) look like more aggressive bets. Looking to carefully nibble on the dip? BP (NYSE:BP) or Chevron (NYSE:CVX) look like more conservative choices, owing to the internal hedges from their downstream operations. All told, the bull case for Marathon Oil stock seems rather narrow, but it’s still a strong bull case. Marathon has a well-diversified portfolio in U.S. shale. It has a much cleaner balance sheet than most peers, 2018 performance has been solid, with Q3 earnings this week potentially providing a catalyst. And a recent decline leaves Marathon Oil stock looking rather cheap. It might not be the best bull case in the oil space – but it’s one worth paying attention to. It’s hard to find something absolutely compelling about Marathon Oil stock, even at these levels. A 13x forward P/E multiple is cheap, but other oil plays are cheaper. A 1.1% dividend yield isn’t bad, but investors can find much bigger payouts in the space. Even the selloff of late – MRO stock is down 23% of late – isn’t as big as that seen elsewhere. Apache (NYSE:APA), for instance, has dropped about 26%. All that said, everything about Marathon Oil stock seems at least good. The valuation isn’t prohibitive, given that the company already has raised production guidance twice this year on stable capital spend. Higher oil prices will only help earnings growth. The balance sheet is solid, if not perfect. Net debt is a bit over $3 billion at the end of Q2, which is a manageable amount against earnings and a market cap over $15 billion. Relative to other oil plays, Marathon Oil’s balance sheet looks close to clean. And in terms of the acreage here, there’s a nice diversification. Marathon has a presence in four key U.S. oil plays: the Bakken in North Dakota, the Northern Delaware in New Mexico, the SCOOP in Oklahoma, and the Eagle Ford in Texas. Crude oil was 56% of Q2 production, with natural gas and natural gas liquids providing the balance. Marathon has international exposure as well, with mostly non-working interests in Equatorial Guinea, the North Sea, and Gabon, Libya, and Kurdistan. All told, MRO stock looks like a solid play even if it’s not necessarily a spectacular one. 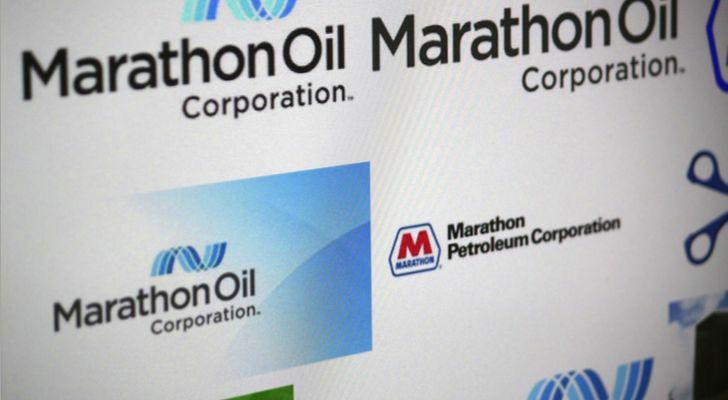 Can Investors Do Better Than Marathon Oil Stock? And again, that leaves a rather narrow bull case for MRO. Investors playing a specific oil thesis may have a hard time getting too excited here. There are higher-risk, higher-reward plays out there that will outperform if crude, in particular, starts to climb. There are better dividend stocks in energy. There are cheaper oil stocks to buy. But that’s not purely a bad thing, particularly after the recent selloff in MRO stock. The stock does look cheap, in fact too cheap. That said, if crude does pull back, or if market jitters continue to hit energy stocks, Marathon Oil probably has less downside than many peers. Marathon Oil stock isn’t a perfect play, but for those looking to buy the dip in energy while keeping risk toward the lower end of the spectrum, there may not be a better stock to buy right now.